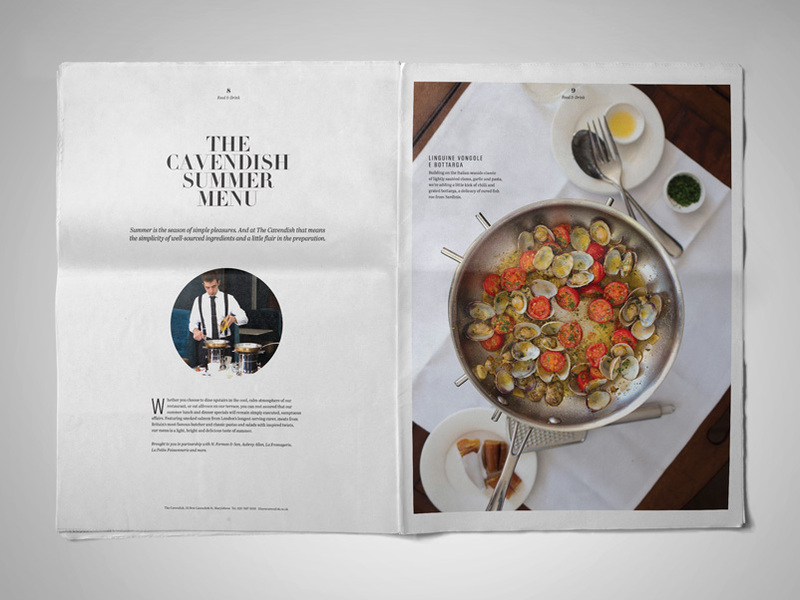 We're happy to announce that the 9 millionth newspaper we've printed is a classic tabloid for London restaurant The Cavendish. And it's a beauty! 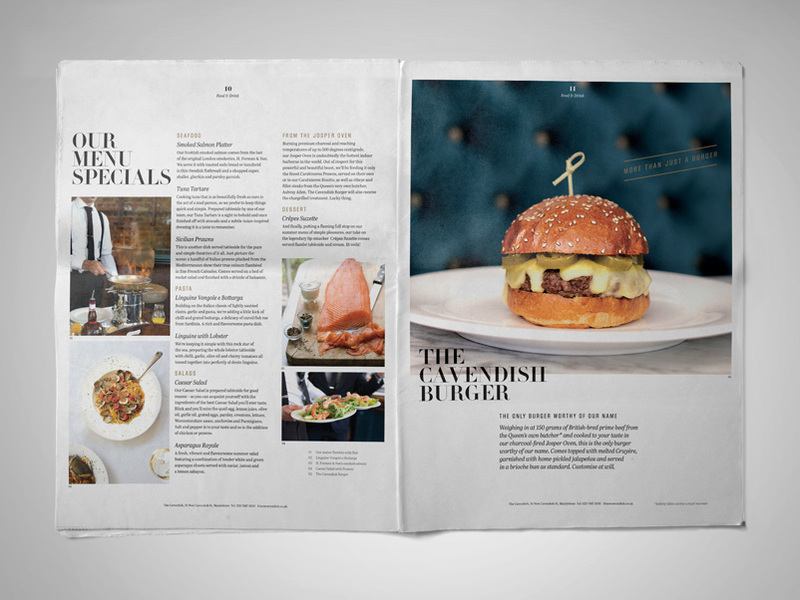 The publication, now in its second edition, was designed by creative agency Spinach, who describe The Cavendish as "the most publishable bar and restaurant in Marylebone." At a glance, the newspaper celebrates their seasonal menu and introduces readers to the restaurant's dedicated suppliers and staff. 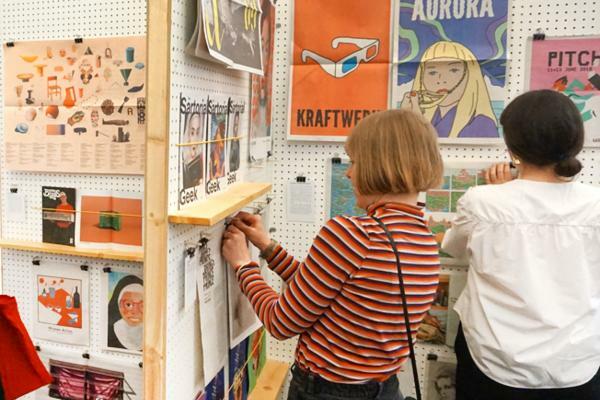 "Considering the wealth of stories surrounding The Cavendish – the royal warranted butchers, the Josper Oven, the specialist drinks list, the irreverent art on the walls, etc – it had to be a newspaper." 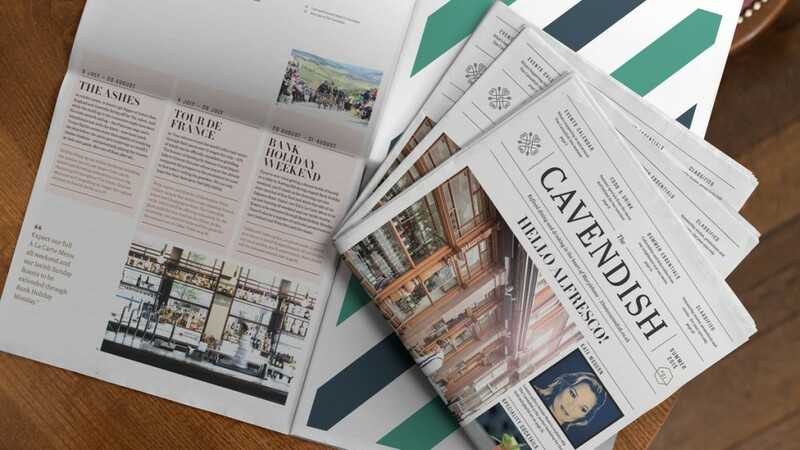 "The paper we created and distributed across a targeted square mile, is not only the perfect hyper-local communications tool, but the backbone of The Cavendish’s quarterly marketing activity." 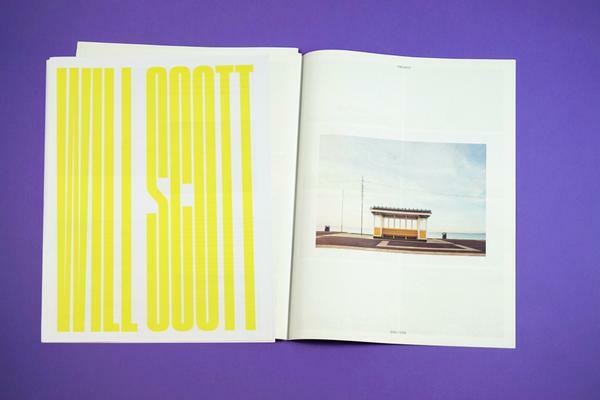 "What readers see in print will be spun out across the brand’s digital marketing and social channels over the coming months, creating a compelling and cohesive narrative around great food, great drink, and a great local." 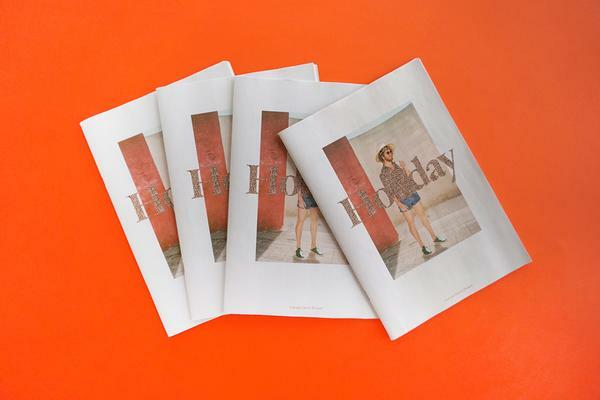 You can flip through the beautifully-made newspaper online. Thank you for printing with us and helping us to reach this milestone! All images courtesy of Spinach Design.